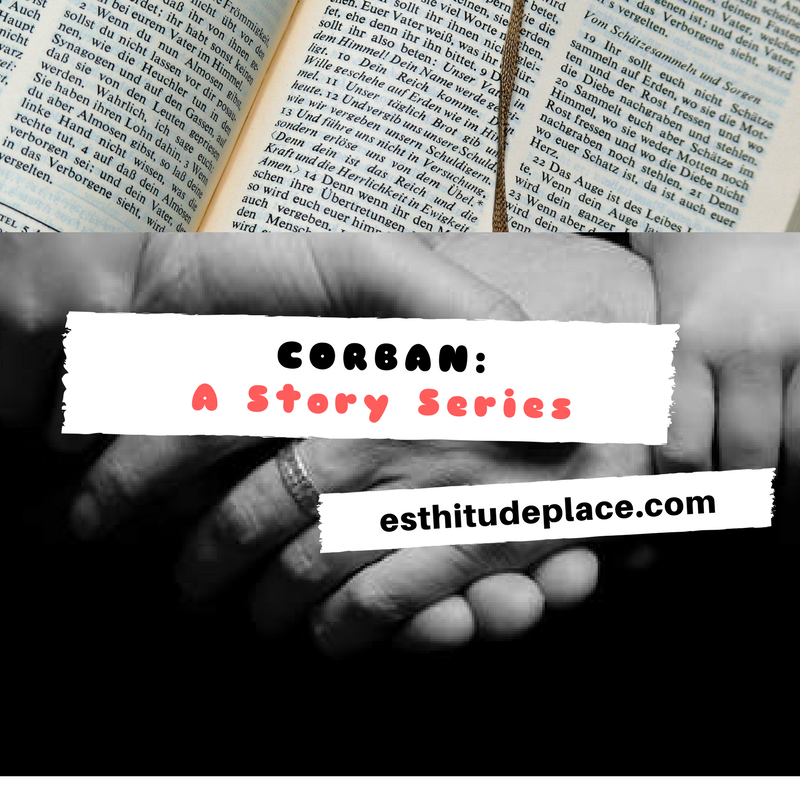 Corban is a Hebrew word adopted into the Greek of the New Testament and left untranslated. It occurs only once in the Bible and it means a gift or offering consecrated to God. This story is a series about family relationships, faith and betrayal weaved around the story in Mark 7:11 in the Bible, enjoy!!! He was interrupted every now and then by Baba Debo when he needed to clarify a part of the tale. When he’d finished, Baba Debo sighed. “Hmmm, children of nowadays. You think that once you manage to get a little wealth, you become suddenly better and more knowledgeable than your parents. You forget all about those who helped you become the great men that you are. You! You neglected your own parents for a stranger you met along the way- strangers suddenly meant more to you than those who raised you. And this church business you spent all your money on, where is the fruit of all those now? He directed Jide to bring his bible which was lying on a stool beside the television. He opened it and read from Mark chapter seven, focusing on the first thirteen verses. By the time he was done, Jide suddenly saw himself in another light, feeling sorrier than ever. He opened to the book of 1st Timothy chapter five and read from verse eight. “Yes, baba. I am. I am only sorrier my mother is not alive today.” He started crying again. After a few seconds of thought, Baba Debo agreed to visit his father but told him to go back home and wait for his call. He would go to Oyo the following day to see his friend and discuss the matter with him, emphasising forgiveness and reminding him that children would always be children. Hello dear reader, thank you for sticking with us through the 6 episodes of this story. Did you enjoy reading this? Then share your comments in the comment section below and also share this series with your friends. Cheers.